These days, boardshorts are one of the key pieces of men’s beachwear, and with good reason. They are both practical and fashionable, whether you’re home walking the boardwalks or paddling in the ocean, perched on a stool at a beachside bar or riding the biggest waves on your trusty surfboard.As such a popular item, there are, of course, plenty of designs and manufacturers out there today, each one claiming to make the best mens board shorts. In this article, we are going to put the claims of five of them to the test in hopes to help you to find which pair of boardshorts is the best for you. Tormenter is a company with a great reputation for producing high-quality boardshorts. Their famous fish skeleton logo can be seen gracing beachfront bars and boardwalks the world over. This entry is more of a multi-purpose design than one that is exclusively for surfing. Does that make it the best boardshorts for you, though? Let’s find out! 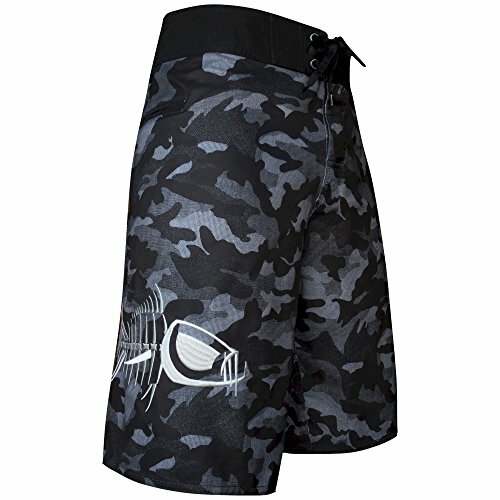 As stated, this pair of boardshorts has a multi-purpose design, but in reality, it leans more toward fishing and casual wear than surfing. 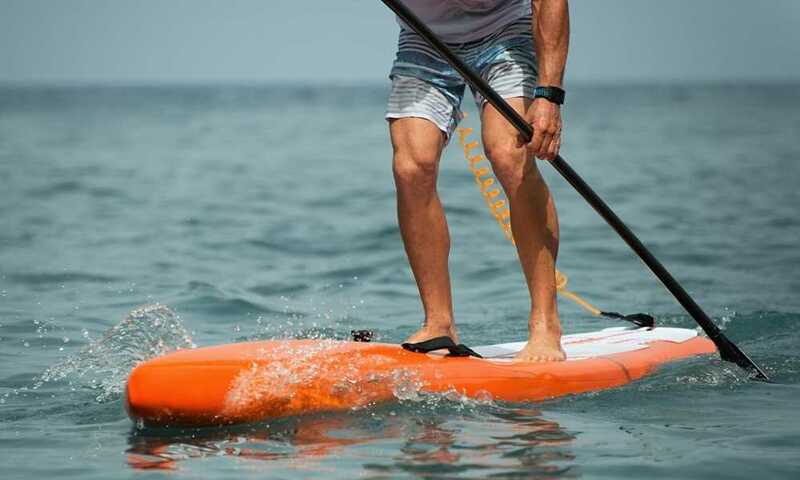 What that means is that they are not as stretchy as some boardshorts, with a polyester and cotton blend construction that lends itself more toward comfort and durability than it does to the flexibility required to hop up onto a surfboard. Not that you can’t swim in these shorts, though. They are, in fact, designed for comfortable sea swimming with a number of built-in features aimed at achieving just that. The five pockets, for example, are streamlined and cut close to the shorts’ body to prevent them from flaring out and causing drag as you swim. 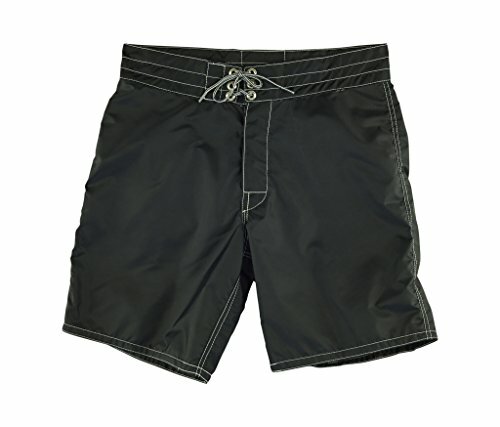 The front zipper closure is made of materials that resist saltwater corrosion, and the shorts themselves are designed to be quick-drying. When you are up on land, these shorts possess the typical high-end Tormenter look. There is an array of color options available, ranging from the understated all black to the more eye-catching blue camouflage pattern. They are not the best shorts if you want to surf, that should be stated. However, Tormentor does produce a range of more performance-suited boardshorts, if that is your requirement. For everyday wear in the water, at the beach, and even at home, these boardshorts are tough, comfortable, highly practical, and feature a range of excellent styles to choose from. If the previous design boasts a multi-purpose style, this next entry from Birdwell is very much in the same club. They are, in fact, a medium-length boardshorts, which makes them not well-suited for surfing like the previous option. However, they do bring a lot of other useful features to the table. The big standout feature when it comes to this boardshorts has to be its 100% nylon construction. A proud product of Birdwell, these boardshorts are among their line of shorts that sport the SurfNyl construction. What does this mean? Essentially, this means that the shorts are comprised of two nylon layers—a solid outer layer and mesh inner layer—for comfort and durability. It also means that these shorts are extremely quick-drying. They have been designed and manufactured in the U.S.A. and have a more tailored look than many comparable styles of boardshorts. They come up a little shorter than other designs too, finishing a little above the knee. 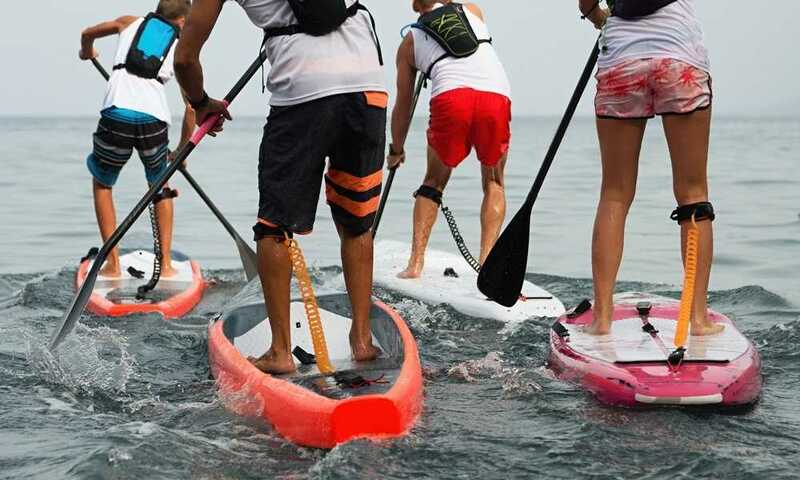 This makes them more of a swimming shorts rather than a traditional boarding one. The tailored look is matched with a wide range of color schemes. Then again, for a pair of shorts that certainly look extremely premium, they also have a high price tag to match. 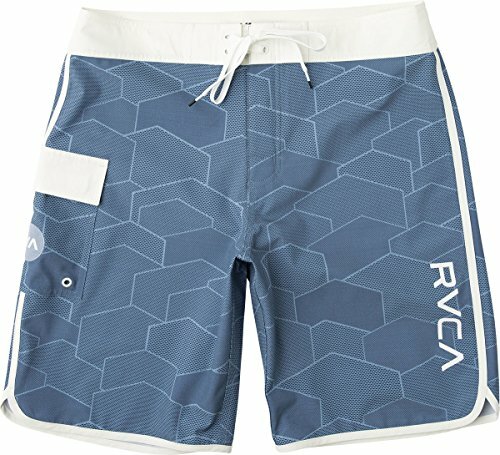 RVCA is yet another brand with a stellar reputation for producing great-quality swim and surf wear. This next entry is very much geared toward the surfing crowd, but it also packs a few other features to appeal to the more casual wearer. This is the first set of boardshorts to make our list that features a “four-way” stretch. What this means is that they are made of a very stretchy material that allows them to move with your body as you move and flex. This really shows that this design has been created with the avid surfboarder in mind. There is also enough here to interest the non-boarder, however. For instance, these shorts are available in a wide range of styles and colors, many of which are of a more subdued tone. If you are looking for comfortable, effective boardshorts that blend in rather than stand out, this pair could be the ones for you. Our next pair of shorts comes from DC—the manufacturer, not the place. Simplicity was clearly the byword when they were working on designing this pair of shorts. Then again, do you think there is enough in this simple design to interest you? Read on to find out. There are actually a number of designs and visuals available across this style of short, but it is the black-and-white design that most stood out to us. This color scheme just seems to be so well-suited to what is a very simple boardshorts style. There are no bells and whistles, but that may not necessarily be a bad thing. There is no fancy material blend as we’ve seen with other shorts, just a 100% polyester construction. There are no pockets for fishing pliers or board wax too. There is, however, just the one pocket, which is Velcro-sealed. 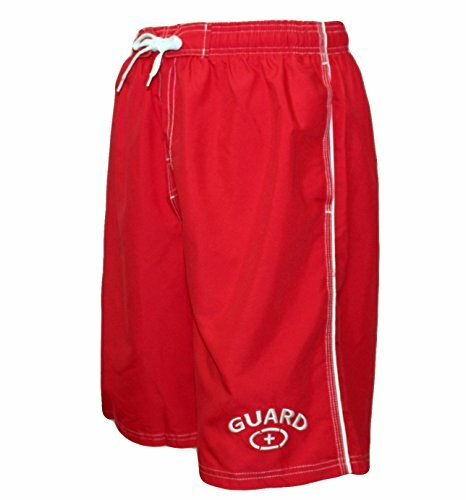 It is designed with a drawstring waistband and has solid fabric construction. Hence, there is no give or flexibility at all. This means that they fit extremely securely, although that does mean that you need to ensure that you buy the right size or they won’t be very comfortable at all. Haven’t found the right pair for you yet? Maybe, this last pair of boardshorts from Adoretex is the one for you. They are, by far, the lowest-priced on the list. However, they come with the least amount of color options and are one of the more basic styles we’ve seen as well. Is there enough about these shorts to tempt you to take the plunge, or should you leave them on the shore? These shorts are certainly eye-catching, at least in their bright red with white piping variation. They are also available in more subdued black and blue tones, but it is the red one that is clearly the appropriate color for these shorts. That is due to the small, embroidered “GUARD” motif on the lower leg. If you are a lifeguard (and have to supply your own uniform for some reason), this could be appealing. If you are not, we frankly struggle to think of who wants to pretend to be a lifeguard, outside of a Halloween costume anyway. It’s a shame too, actually, because the shorts underneath are actually pretty good. They are 100% polyester, so they are soft but also tough and durable. They are also equipped with a mesh liner to keeps things supported. Reinforced stitching has been employed for a tough finish, and there are three good-sized pockets where you can store your valuables. All in all, these are decent shorts with a very attractive, low price tag. It’s just a shame they are let down by an unfortunate design. We have examined five very different boardshorts designs. Now, the question is, which of them has the right to claim the title of being the best mens board shorts? 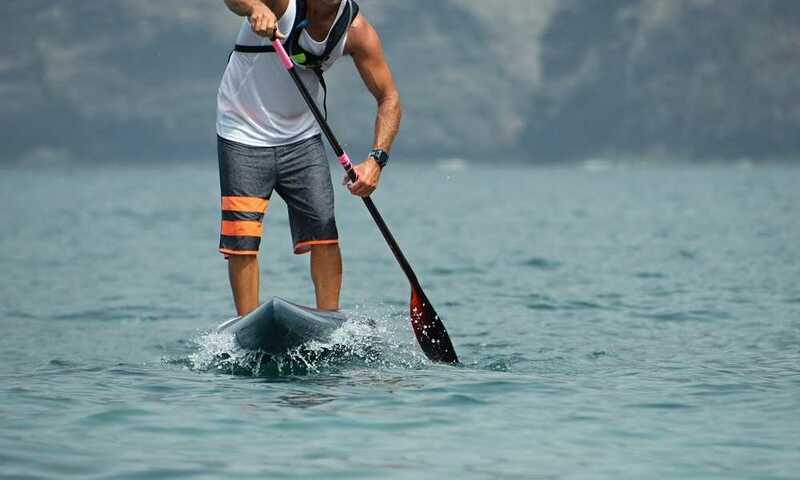 For us, it has to be item one, which is the Waterman Boardshorts from Tormenter. These boardshorts managed to pair durability with comfort as well as function with visual flair. They are very well-suited to be worn during various activities in different locations. With all its features, don’t you just dream of having it in your wardrobe?